May 25, 2018 By Lori 2 Comments THIS POST MAY CONTAIN AFFILIATE LINKS. PLEASE READ MY DISCLOSURE HERE. The coconut cake guaranteed to convert even the most self-proclaimed coconut hater. I promise. The marshmallow frosting and coconut filling make angels sing and define carpe diem. And the vanilla butter cake balances the whole thing out. Practically perfect in every way. Recipe adapted from the Magnolia Bakery and courtesy of David Leite. You know those coconut cakes you see in the old-fashioned diners that twirl around in the tall dessert cases? That look so awesome but when you eat it, it just tastes like refrigerated coconut cardboard? This isn’t that. 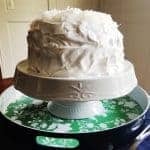 The inside of this coconut cake is even better than the outside which is saying a lot. Just sayin’. 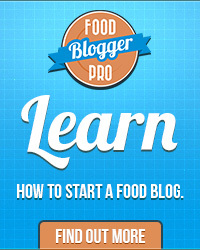 The recipe looks long and time-consuming but it really isn’t hard. And you’ll feel so accomplished. Your family will look at you differently – in a good way. Not in that “what are you trying to feed us?” way. Make this the day you want to eat it. While it’s almost as good the next day, any time after that and you’re pushing it. GIve this a try as a cupcake – it’s so good! Preheat oven to 350. Butter and flour lightly 3- 9"cake pans and line with either wax paper or parchment. You can use two (which I did in the image) and you'll just bake the cake a little longer. Pour the milk and vanilla into a glass measuring cup. Combine the flours and place in a medium bowl. Cream the butter in a large bowl or electric mixer fitted with a paddle attachment. Beat until light and fluffy and add the sugar. Continue beating for three minutes. Add the eggs, beating well after each addition. Add the flours alternately with the milk and vanilla mixture in four groups, beating well after each and ending with the milk. Divide the batter evenly among the pans. Three pans: Bake for 20-25 minutes. Two pans: Bake for 25-30 minutes. Either way, check with a cake tester which should be clean. Let cool for 10 minutes in the pan. Remove to wire rack until completely cool. Combine the milk and sugar in a medium saucepan. Whisk in the flour and bring to a boil over medium heat, whisking the whole time until thick and bubbly, which should take about 5 minutes. Remove from heat and add coconut. Stir in vanilla, cover and set aside to cool completely. Get ready by putting the egg whites and vanilla in a large mixing bowl of electric mixer. In a small saucepan, combine the water, sugar, and cream of tartar over high heat. Bring to a boil for 2-3 minutes, counting once the mixture begins to bubble on the edges. Remove from heat. On medium-high speed, beat the egg whites and vanilla until foamy approximately 1 minute. Keep the mixer on and with a thin, steady stream, pour the sugar mixture into the egg whites. Continue to beat on medium-high until fluffy and stiff peaks form. This will take around 5 minutes and the frosting will be bright, white and glossy. Try and resist tasting it. Or you'll eat the whole thing. And your cake will be lonely. Place one layer of cake on your serving platter or cake plate and spread 1/2 of the filling on top. If you're only using two layers, use as much as makes sense to you and save the rest to eat vanilla wafers or graham crackers and chocolate for an upscale s'more. Place the next layer on (and repeat steps 1 & 2 if necessary). Frost the top and sides of the cake with the frosting. Top with extra sweetened coconut. Do you think I could use unsweetened coconut replacing the sweetened coconut — to reduce the amount of sugar? 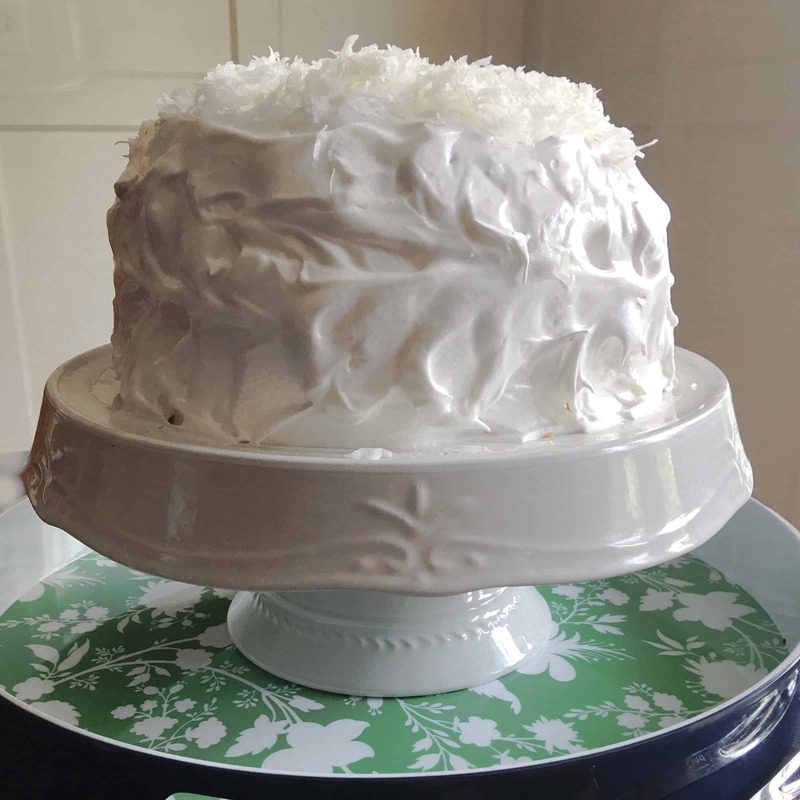 Or is the sweetened coconut essential to the overall taste of the cake? Thanks Laura! I think it would be totally fine to replace it on top of the cake. Since the filling is the star of the cake (although the frosting is like the best marshmallow fluff), I might try using half unsweetened and half sweetened.Just make sure that the unsweetened is a finer flake as it might be harder to cut and might be chewier. Now you’ve inspired me to try it – let me know how it works!